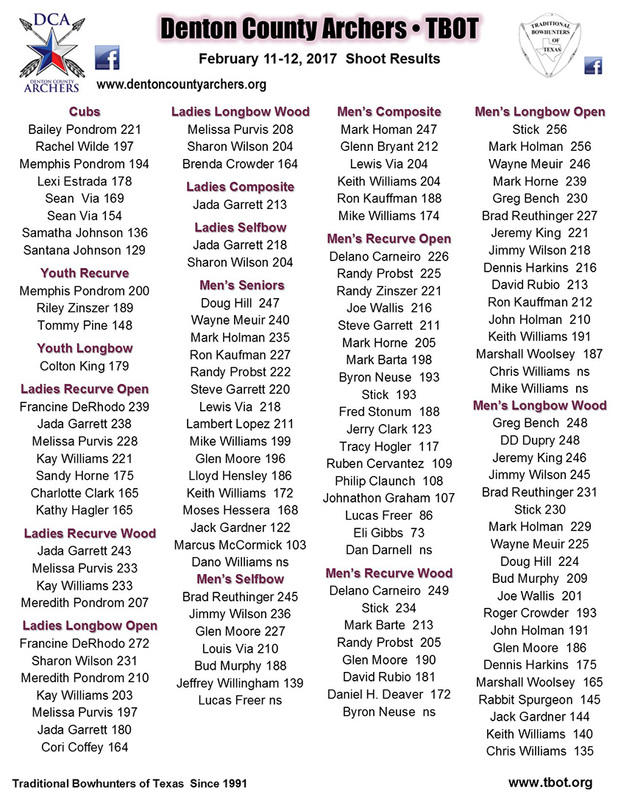 Denton County Archers - TBOT Feb. 11-12, 2017 Shoot Results. Thank You Denton County Archers for hosting TBOT. We had a great time!